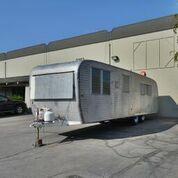 vintage trailer. There is some expected water damage for this vintage camper. It’s visible around the rear window, and by the vent. 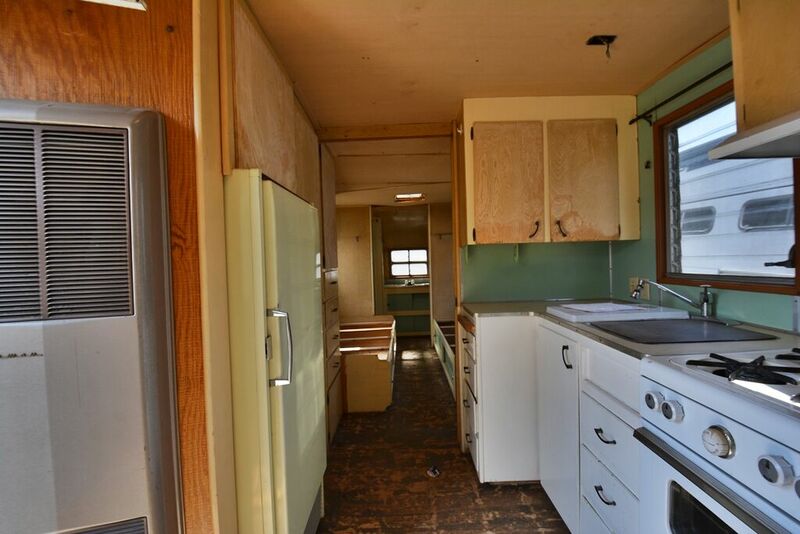 The Estrellita is a nice size unit at 27ft over all, and the fact you can see the solid condition of the chassis (unlike Airstreams) makes this an easy choice for restoration.